Gary Stock interviewed Doug Sax in 1979 regarding various aspects of record technology. 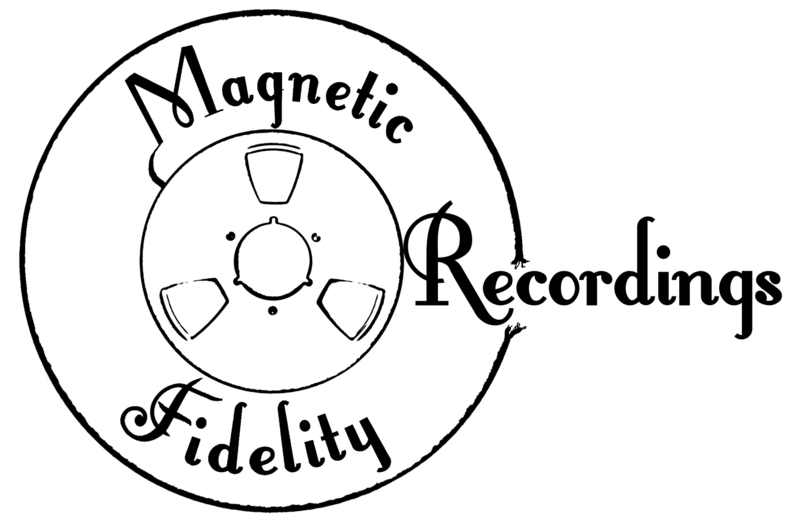 This historic document, first published on the March 1980 issue of the Audio Magazine, is being reproduced here by kind permission of the author, in the interest of preserving knowledge and information, related to the art and science of disk mastering. GS: One of the questions which comes to mind immediately when discussing the technology of making phonograph records is the question of the ultimate capabilities of the LP record. You are very much in a position to know what the limits of that technology are. How much in the way of dynamic range, for instance, can be put on a conventional phonograph record? Sax: To begin with, there are two different statements on this point that are often confused. One is signal-to-noise ratio, and the other is dynamic range. A record made from a well-cut lacquer, well processed on excellent vinyl, would probably, in a static measurement of noise below a standard 5-centimeter cutting level, give you a signal-to-noise ratio something in the range of 65 dB, or maybe even a bit better. But that is only the noise compared to the standard cutting level. On several of the Sheffield Lab records and on other recordings, one can find peak values above that cutting level of more than 16 dB. 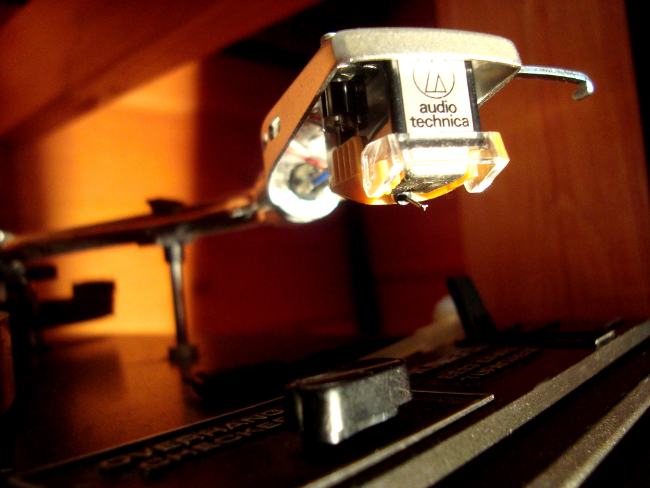 They are on the record and retrievable by many of the better phono cartridges available. That gives a total of 65 plus 16, for a total dynamic range of 81 dB or so. That is the true dynamic capability of at least a few of the LP's being produced today. With indifferent plastic or indifferent processing, however, that 65-dB signal-to-noise ratio can very quickly go to 55 dB, thus reducing the dynamic range by 10 dB as well. GS: Where does most of the noise creep in, during the metal processing stages? Sax: Its difficult to ascertain, since the metal mother never plays as quietly during tests as a vinyl pressing will. One big factor in recent years, though, is that the master lacquers on which a disc is cut are not nearly as good as they were five years ago. I've done tests on old lacquers where the signal-to-noise ratio versus a reference cutting level was 75 dB, and RCA, did some experiments in the old days that indicated a 90-dB ultimate signal-to-noise ratio for the master lacquer itself. Now I find it is possible to get much poorer lacquers, lacquers that are in fact audibly noisy, which was unheard of a few years ago. One of the problems in record production is that when you generate noise in the lacquer, or indeed in any stage, it never goes away. If you pick some up in the lacquer, some in metal mothers and stampers of indifferent quality, some in the form of tape hiss from the master tape, and another type of noise from the vinyl itself, the public gets to listen to all four of those noises. None of them masks one another, although I'd like to say they do. All of them come through. GS: Setting aside for a moment questions about the various proposed revisions to the RIAA equalization curve for records, how high and how low can a record go, in terms of ultimate frequency range? Sax: The cutting lathe is capable of putting a signal on the master disc that is flat from 8 Hz, in the case of the Neumann lathe, up to 25 kHz; incidentally, the low-frequency response is one area in which the disc can far exceed the analog tape recorder, in terms of linearity. When measuring tape machines, as you go down in frequency there are always a couple of irregularities - head bumps, they're called - below which the response drops off to nothing. But all of the disc-cutting systems I know enjoy flat response down to extremely low frequencies. Remember that we are talking about a magnet structure and a stylus in the cutting system, and they can move very slowly as well as very fast. GS: What are the maximum lateral velocities one will encounter on a record? How much level can be put on a disc? This, of course, relates not only to the cartridge's responsibility in tracking the groove, but also to how high the phono overload capability of the phono preamplifier must be. Sax: I'm afraid I can't give you as simple an answer for that question. I will state this: Any cutting system I know of can easily exceed, both in the midrange and in the bass, the tracking abilities of any cartridge ever made. We can lay down much higher levels than we can pick up, as it were. There is an excellent analogy. If you talk about driving a car at a fixed speed down a road, and that the road has increasingly tighter curves, there will be a point at which the car cannot traverse the road, assuming it maintains a constant speed. It will finally go out of control. The answer to your question, then, is simple. You can easily exceed your purpose in cutting a record at much higher levels than can possibly be tracked. Remember that the intent is that the majority of people with good systems should be able to play the record and get music from it. Exceed the limits, and you may be making a worse product, rather than a better one. GS: How about stereo separation? How much can the contemporary record achieve in that regard? Sax: Well, again we have the situation where the abilities of the cutting lathe exceed anything that you could retrieve with the finest phono cartridge available. Stereo separation of more than 35 dB at 15 kHz has been measured using optical techniques, although you can't measure it directly with any cartridge. At least I've never heard of a cartridge with 36 dB of separation at that frequency. GS: So again we are talking about the limits of the playback equipment rather than the record. Are any of these limits significantly alterable, though, by any special recording or mastering technique, such as half-speed mastering or 45-rpm playing speed? Sax: Half-speed mastering has much in theory going for it. The cutter's ability to get better separation, for instance, would be even further increased, although as we've discussed, the cutter's ability exceeds that of the cartridge at either full or half speed. But my feeling on the question of significantly expanding those limits by some special technique is no, I cannot see it making that much difference. GS: Well, if we flip the question over, do you see anything that could be done on the playback side of things - in the cartridges, the tonearms, or the turntables, that would significantly expand the LP's sonic capabilities? New tip shapes, or radial-tracking arms, or other new hardware? Sax: Actually, I am constantly amazed, because the one area in high fidelity that seems to have had a linear progression of advancements, without backtracking, is the phono cartridge. There are many cartridges today that retrieve, as far as I'm concerned, even the difficult musical information on the record incredibly well. I've never heard anyone say "That sounds good but if I take out my 15-year old cartridge it will really sound better," although people do say "If I take out my old tube amplifier, it will sound better" all the time. GS: But if someone handed you an immense sum of money and asked you to do something to improve record playback technology, is there anything new that you would undertake? Any principle that has been overlooked or that you see as having great promise? Sax: Perhaps a system with no record contact, optically read; but other than that, no. I don't sit and think in my heart of hearts "If I could only do this or that the sound would really get good." From the standpoint of playback systems, I'm at the other pole in my thinking. I'm amazed at what they do. GS: How about some electronic technique, like the dbx encoded disc approach, which uses a linear compression/expansion arrangement? Sax: I find the dbx system a very provocative one. It promises an ideal that has not existed up to now - under good conditions, a virtually noiseless record. Properly used, it permits you to retrieve more clean information, with good dynamic range, and less noise. GS: Is Sheffield interested as a corporate entity in the dbx system? Sax: As a matter of fact, yes. Right now our involvement with it is in the experimental stage. But, from my viewpoint as a manufacturer, I feel very tempted to take one of the four cutting lathes we have at Sheffield, sacrifice the 100,000 or so conventional discs that could be made from a direct-to-disc recording on it, and use it to make a direct disc with the dbx system. I would still, of course, have the masters from the other three lathes in conventional form. GS: You've gone on record in the past as having reservations about current digital recordings and recorders. What to you find wrong with digital, and what can be done to correct the problems? GS: Why will doubling the sample rate be necessary? Sax: Because of the severe phase shift caused by the recorder's steep high-cut filters, for one, which are related to the choice of sampling rate, and because the recorder only looks at a piece of the high-frequency tone, not all of it. It's interesting to note that Ampex, which is now making a digital preview system for disc cutters, is offering it in two forms - with a 50-kHz sampling rate and a 100-kHz sampling rate. The 100 kHz sounds better. GS: So the sampling rate of the recorders should go up, and the anti-aliasing filers must be changed. What audible effects do the drawbacks of the present recorders have? Sax: I can't give you a detailed answer. If I hear something that sounds bad, I know that it sounds bad. Overall, I perceive on everything I've heard digital, things that are unnatural, things that are not there in real sound. I've found that when people talk about the faults of the digital they say "Maybe it's factor X or maybe it's factor Y that I'm hearing," trying to come up with some explanation for their dissatisfaction, but their discontent with the sound precedes any technical understanding or opinion on it. Digital recording right now is in exactly the same position as solid state was in 1958, when it first came out. There were immediate virtues, there was more power than ever before in a package a fraction of the size, but in 20 years we have come from those first solid-state amplifiers, we have made enormous improvements. In the beginning, there were problems with solid state that brought new terms into the nomenclature, terms like like crossover distortion and then later slew-rate limiting. The same is true of digital now, as we look for new terms and concepts to describe its sonic limitations. I am very enamored of digital recording's virtues, and I know the problems will be corrected. There is too much promise for them not to be corrected. GS: Turning more toward your review of audio's future, what would you like to see in a musical storage medium for the home? In other words, what should the gizmo that we put our music on look like? Sax: I see several formats that I expect to become available to the public. One, which already exists, is a combined video recorder/digital processor that allows you to record digitally, play prerecorded tapes, or use it for recording television programs. It is very central in this regard. Most of the electronics companies that have large production volume have some sort of video-disc system, and any of these can rather easily be converted to digital audio use. Among those dics, I find the Philips Compact Disc a very viable animal, in terms of size, in terms of Philip's commercial clout and coverage. They have the muscle to put the idea out, and I think it's going to be a really potent product. GS: So you prefer separate audio and video players, and the small size of the Philips approach? Sax: No. That I don't. What I like is the notion of something in a price range, of a size, that has a broad appeal. The Philips player will be very price competitive, with digital's total absence of noise, and very space conserving in terms of both player and record collection. Philips, from the commercial standpoint, also has the labels - Deutsche Grammophon, Philips, Polydor, and American RSO - to make the catalog exciting. And they're all right in Philip's pocket, so to speak, with no need for licensing agreements. One other thing I see on the future, though, is is a noise-encoded analog disc, like the dbx system we have discussed. GS: In the long term? Or just as an interim device? Sax: Well, for the next 10 years at least, the main way you're going to buy your music is on a phonograph record, period. There are 500 million reasons why - and that is the estimated number of good-quality phonographs in the Western world and in Japan. It's fun to talk about the blue-sky distant future, but the fact of the matter is that digital discs will not be the dominant musical medium for at least 10 years. GS: Returning to our blue-sky discussion for a moment, though, would you care to comment on the characteristics of the music system we will be using in 25 years? Will it be a combined audio and video sort of thing? Sax: Long range, I do see audio and video systems combined into a single grouping. We are going to take the broiler, and the grill, and the oven, and the range top and put them together, and call it "stove." It's going to take a number of improvements in each of the elements. One thing that comes to mind immediately is the need for better television sound, and stereo audio for television. I have read that RCA is introducing a video disc next January, by the way, and that will be in mono, and not terribly healthy mono at that. That's headed backwards, and I believe it is a horrendous mistake. GS: On that same general subject, what to you think about the number of channels future music systems will have, and about the techniques that will be used to recapture the ambience and acoustic setting of the original performance? Do you see a return to four-channel, for instance? Sax: In a word, no. GS: What direction then? Widespread use of the kind of ambience synthesis systems that are popular today? Sax: Yes, whether it is something recorded on the disc or something that you add on to your system, it will be some sort of addition to the sound of the front speakers. In my opinion, something synthesized from the two-channel recorded signal rather than anything that would need encoding and decoding. GS: What else will the system of the future have? Sax: One area that I feel needs considerable improvement, where modern equipment has in some sense gone backwards, is in the ultimate dynamic capability of the speaker/amplifier combination. The advent of dynamic digital and direct-to-disc recordings has given the whole concept a push. The people who produce audiophile records have been striving for greater dynamic range, but frequently that range is well behind the loudness capabilities of the extremely inefficient speakers in use today. In effect, the records are being limited by the playback equipment, and the loudest third of the recording is not being heard realistically. GS: So the system of the future will have to have either much more powerful amplifiers or much more efficient speakers, correct? Sax: Yes, but many of the speakers I see today wouldn't be helped by even a 2,000-watt amplifier because most of them cannot handle any substantial amount of power on top of their inefficiency! GS: They have a narrow dynamic window, then. Sax: They are the limiting factor in many systems today. I hear records I've made played on these systems, and the openness of the quiet passages is there, but the dynamic portions are total chaos. The phono cartridge is performing well, the preamplifier is having no trouble at all; it's the tail end of the system - the amplifier and speakers - that is in permanent strangulation. I've heard a number of large, hand-built speaker systems made by serious individuals, professionals, in their homes, and they sound remarkable, not so much because they play louder, but rather because they can play at the same average levels and still have the ability to reproduce the peaks without strain. When one of these becomes available, home music systems may then be able to realize for the first time what is truly on the disc.